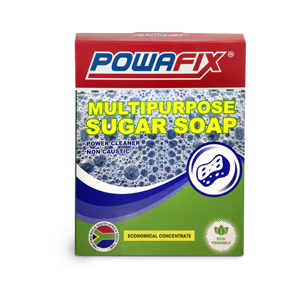 Cleans and dissolves cement, tile adhesives, grouts and plaster. Cleans and etches cement and concrete floors. Removes all grease spills from concrete floors. 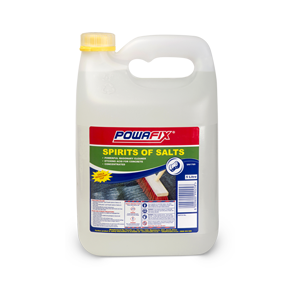 Powafix Spirits of Salts is a concentrated powerful masonry cleaner and concrete / cement etching acid.